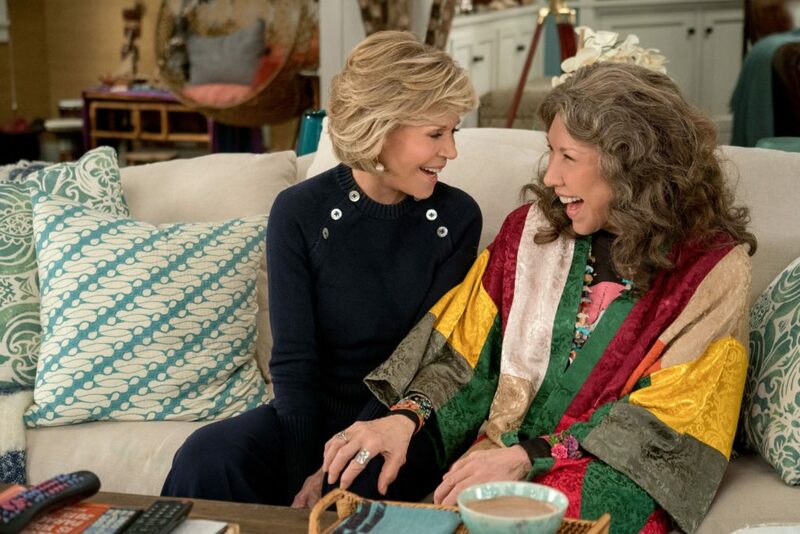 Season 5 of the Netflix series Grace and Frankie which stars Jane Fonda and Lily Tomlin continues to be funny while also dealing with very real issues of aging. 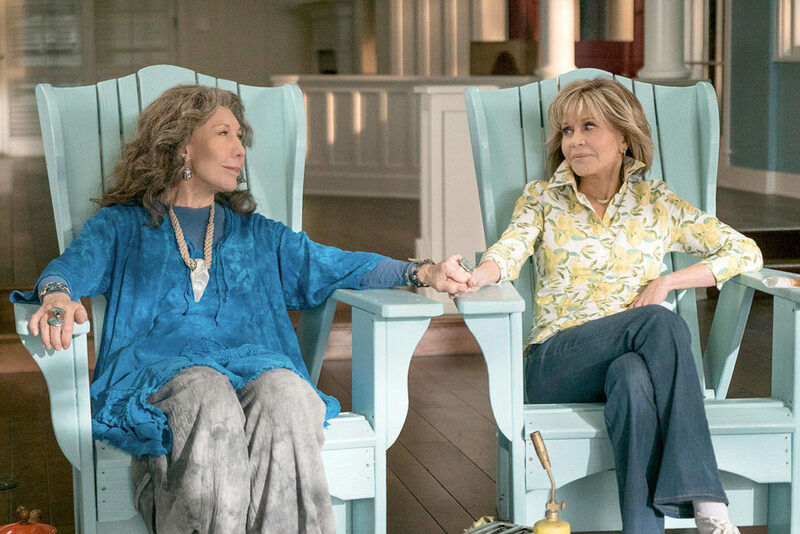 Spoiler alert if you’re not caught up: At the end of last season, Grace and Frankie’s kids talk them into selling their beautiful beach house and moving into a senior living facility. 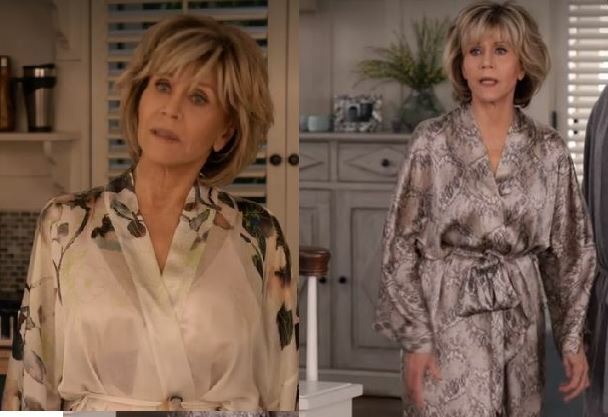 Season 5 opens hilariously with Grace and Frankie stealing a golf cart and making their escape. But one of our favorite things about the show, and also Tomatoes everywhere, are the fabulous clothes and styles in the series that are the creation of costume designer Allyson Fanger. 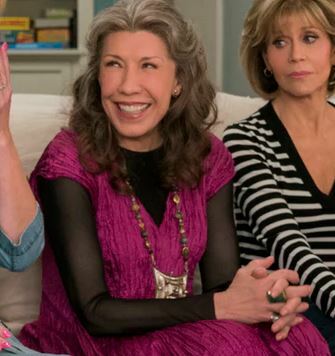 In previous posts we’ve covered some of their looks and where to get them from previous seasons: Shopping Grace and Frankie’s Style and How and Where to Get Grace and Frankie’s Style. Season 5 did not disappoint, story wise and fashion wise. Here’s how to get the looks. Grace has classic style. It’s been fun on the seasons to see her style evolve from her very buttoned up CEO looks, to more casual looks as she’s become less repressed. But no matter what she’s wearing, she nails it. In a recent interview with Allyson Fanger she says her go to brands and designers for Grace are St. John Knits, Ralph Lauren, Carolina Herrera, Brooks Brothers, and Margaret O’Leary for the best beach cashmere. 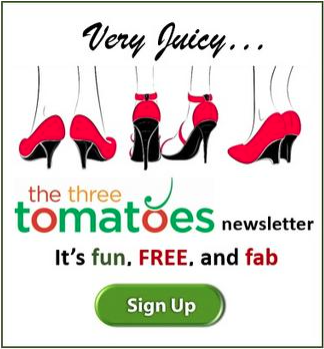 Those printed shirts:Tomatoes are clamoring for Grace’s fabulous blouses, like the lemon one in the start of Season 5. Sad for us, that shirt and some of her other prints are custom made using a fabric that is hand painted. Grace’s signature blouses are fitted crisp white and now the florals with up turned collars. Grace pairs beautiful jackets with slacks and even jeans for great looks. 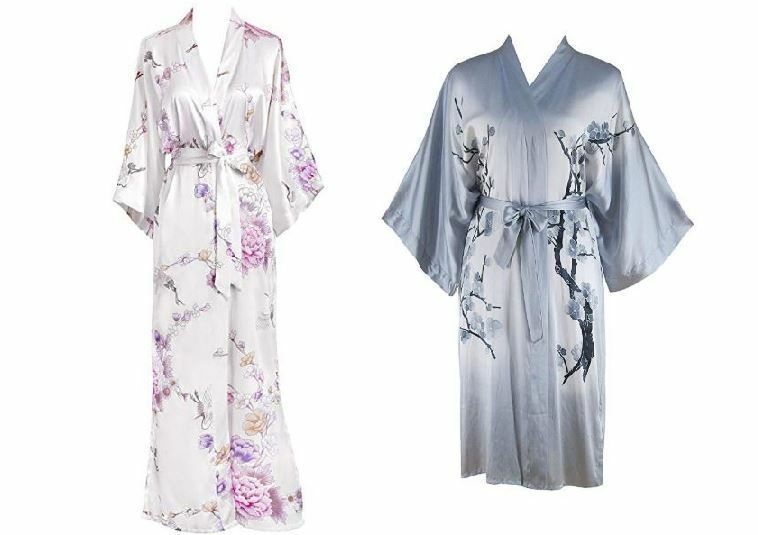 Grace always looks elegant in the morning too with beautiful satin and silk robes. Graces jewelry is also elegant and understanded. She wears a lot of long necklaces and small earrings. Frankie is a super stylish bohemian/hippie. Her clothes are wonderful bold colors and patterns – and she’s not afraid to mix them, wear tie dye and always wears fabulous large jewelry pieces. 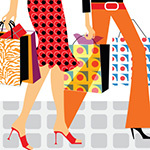 The show’s costume designer Allyson Fanger says she shops vintage all over the nation. Her designers for her fancy looks are Harari , Alembika, and Bryn Walker. A lot of her incredible jewelry is handmade by Adina Mills. And by the way, did you know that Frankie’s fabulous hair on the show is a wig! Here are a few of our favorite Frankie looks this season. Kimonos, Caftans, and Tie Dyes are Frankie’s go to style. In most of Frankie’s outfits she wears these sheer long sleeve under tops in many different colors. Frankie’s style is always accented by her fabulous, very large jewelry pieces. Knit/felted flower necklace of Frankie’s in S5:10? 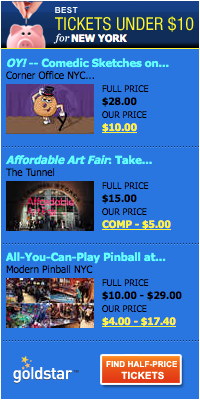 It looks like a Karen Paust piece. Where to buy pink dress Grace wore to Buds wedding? Love the colorful layered necklace Frankie is wearing in the video on season 5 episode 11. Do you know where it came from? I’m putting one on ebay today look it up! I am looking for this necklace that Grace wore in several episodes in Season 5. Any ideas? We’re do I buy the pink dress Gracie wore to Bud’s wedding. I loved and obsessed with Grace’s black turtleneck poncho with a rust-colored stripe when they were packing up after their retreat. It was a few seconds of her putting her bag in the trunk. I loved that sweater! 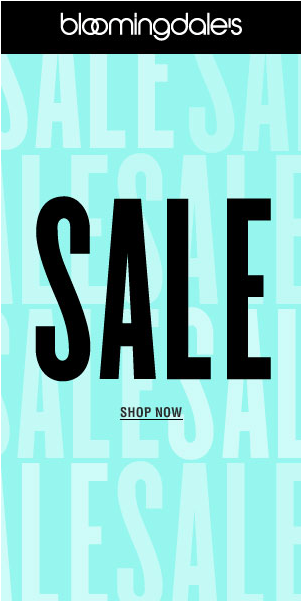 Been searching and searching online! I also want to know where to find that amazing pink dress Grace wore to Bud’s wedding!